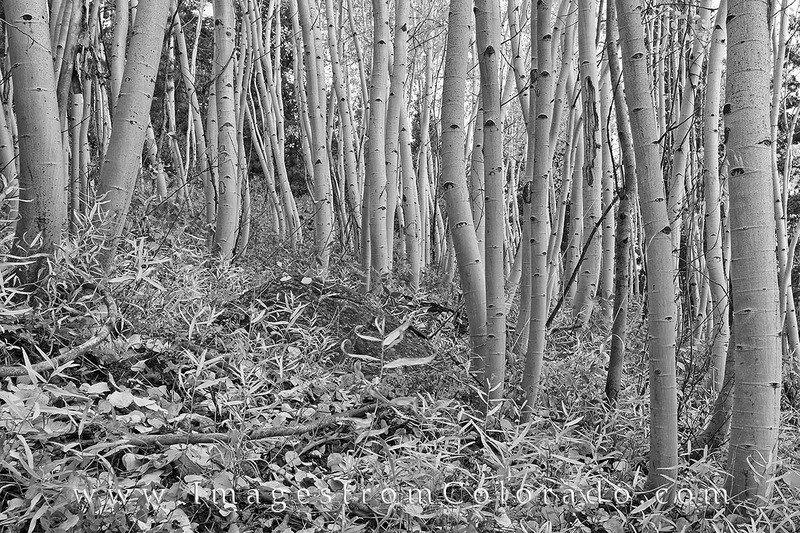 I try to find unusual perspectives in some of the Colorado images I produce, especially for my black and white images. This aspen grove and beautiful trunks were found just outside of Fraser, Colorado, along a dirt road. This road normally closes during the winter, so fortunately the snows hadn't fallen yet and I was able to access this location. These Aspen trunks made for a good black and white photograph as they curved up towards the sky. Taken near Winter Park, Colorado, in the fall, it was cold on this morning, but trekking through the forest is always nice. Photo © copyright by Rob Greebon.